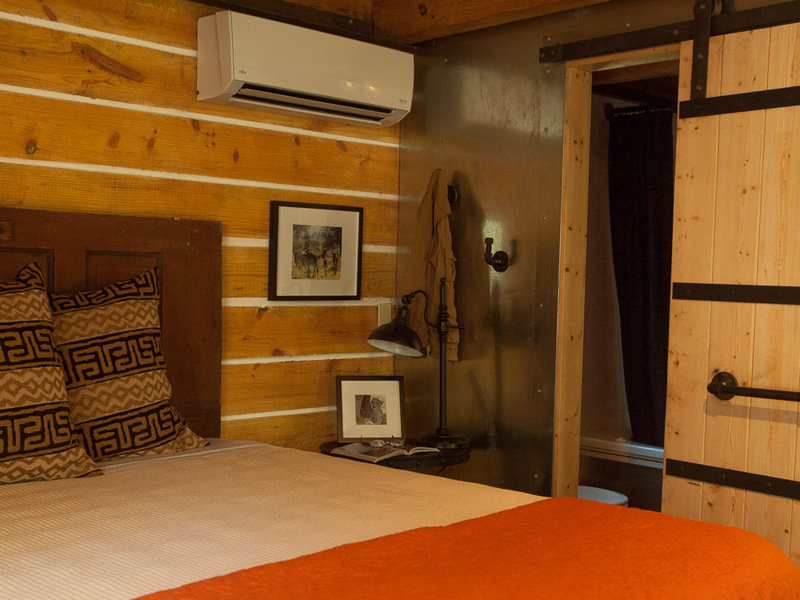 The Valerian is a cabin that has the feeling of a treehouse. We don’t want to mislead you by calling it a treehouse. A real treehouse is a house built in a tree. The Valerian has two stories and is perched high on the hill looking down on our own private lake—Lake Lucerne. 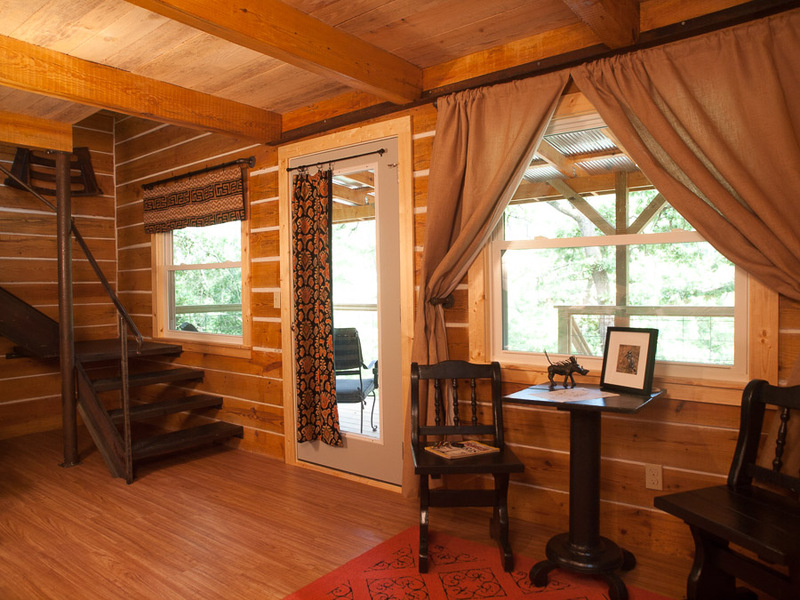 It’s one of ten cottages/cabins that are part of Lake Lucerne Resort and Ranch. 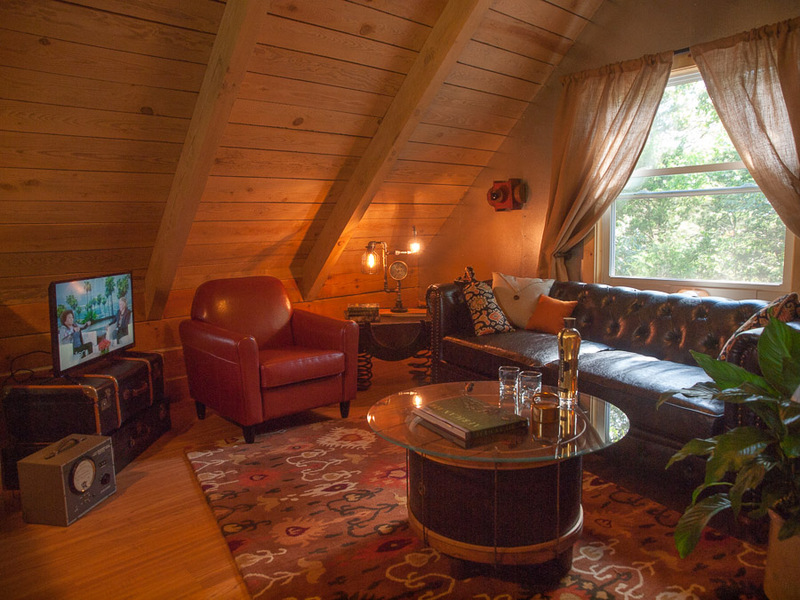 The upper floor of The Valerian is open style with a mini-bar and other attributes that give it a warm cozy feeling. 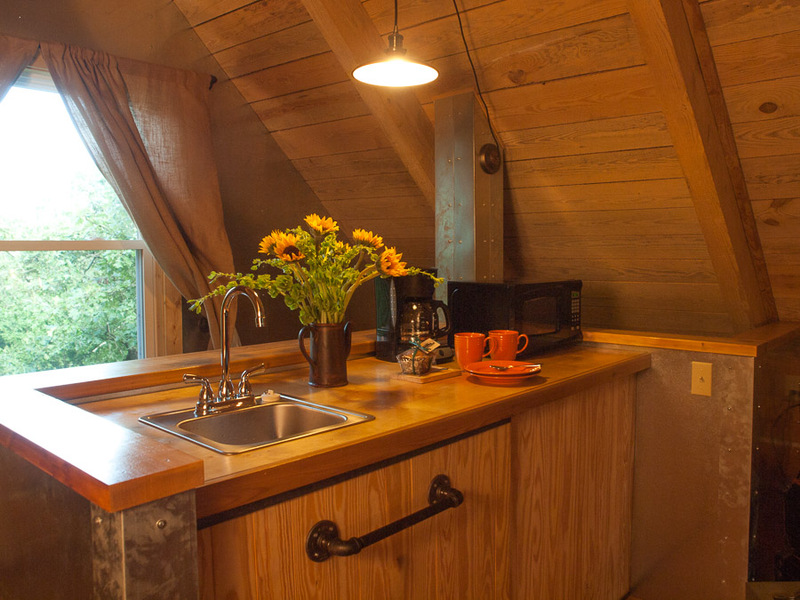 There is no full kitchen in this cabin. 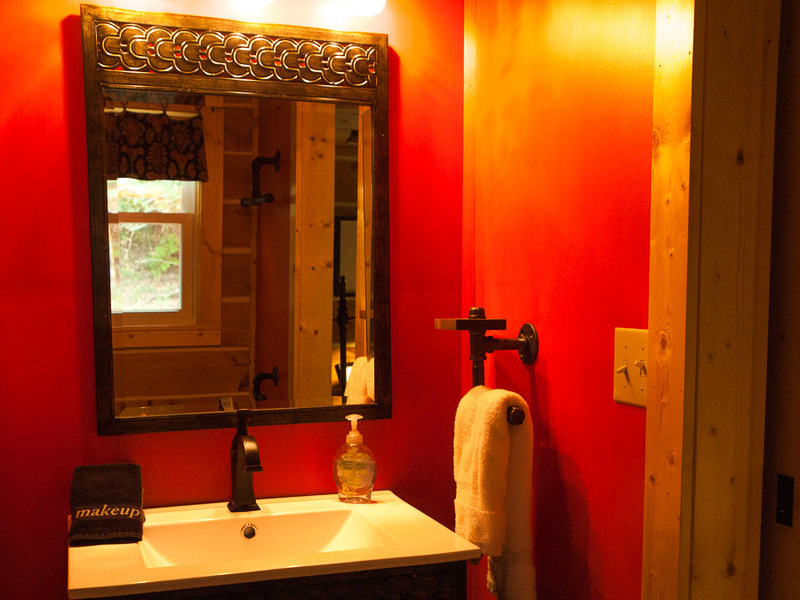 The main floor has a king bedroom and bath with a double air-jetted tub. 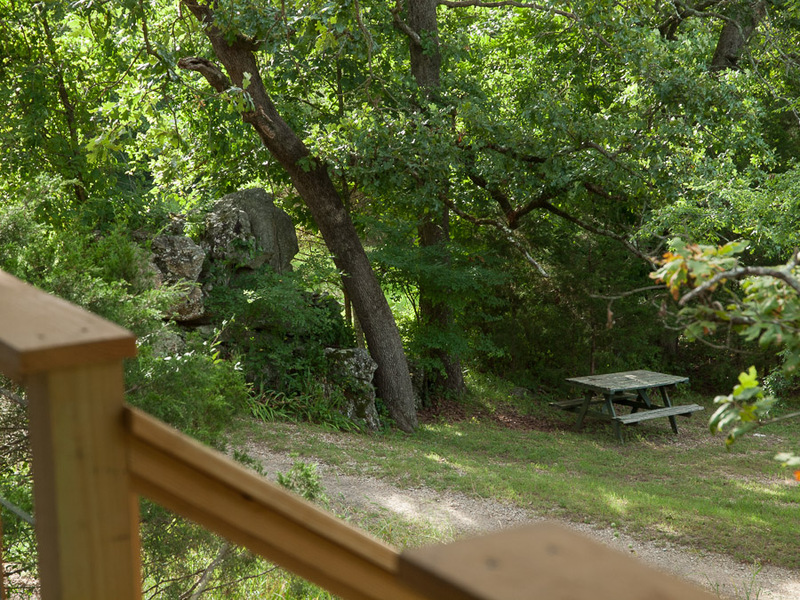 Enjoy morning coffee on the porch outside the bedroom and be sure to keep your binoculars handy. 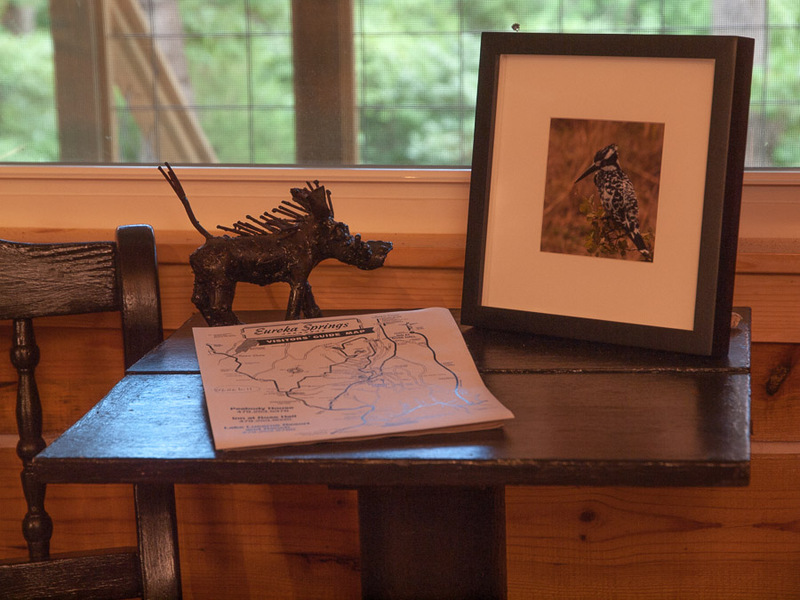 We have great bird watching at Lake Lucerne. 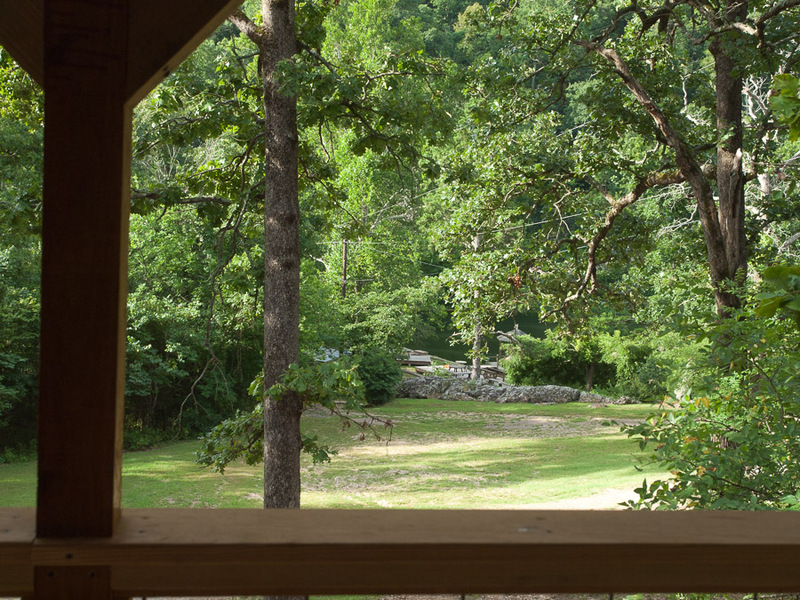 If you are looking for a getaway near Eureka Springs, Arkansas, this is an ideal cabin two miles from downtown. There are good restaurants 5-10 minutes from the Resort. 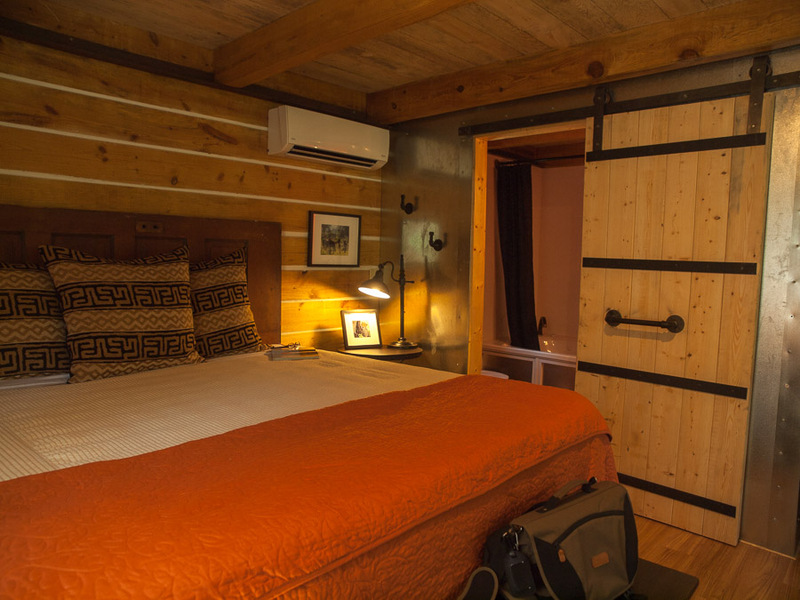 The Valerian is one of our newer cabins. 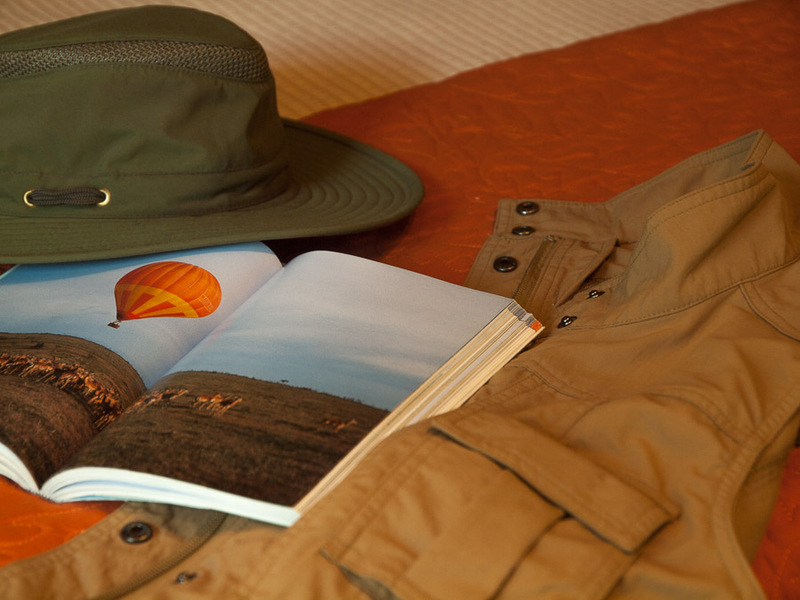 Our Valerian guests frequently ask to extend their stay an additional night. 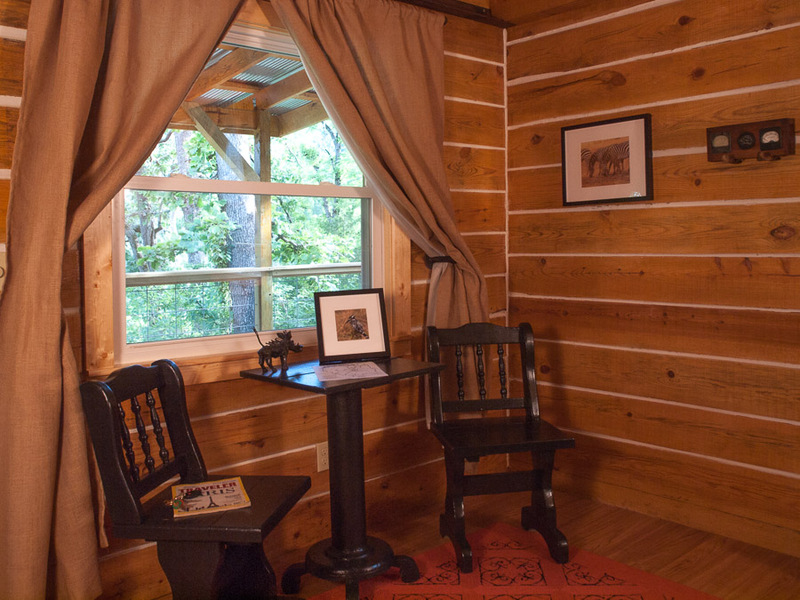 The treehouse feeling of this cabin has made it a favorite of our returning guests. Two night minimum required, three nights for holidays & festivals. Prices subject to change without notice. 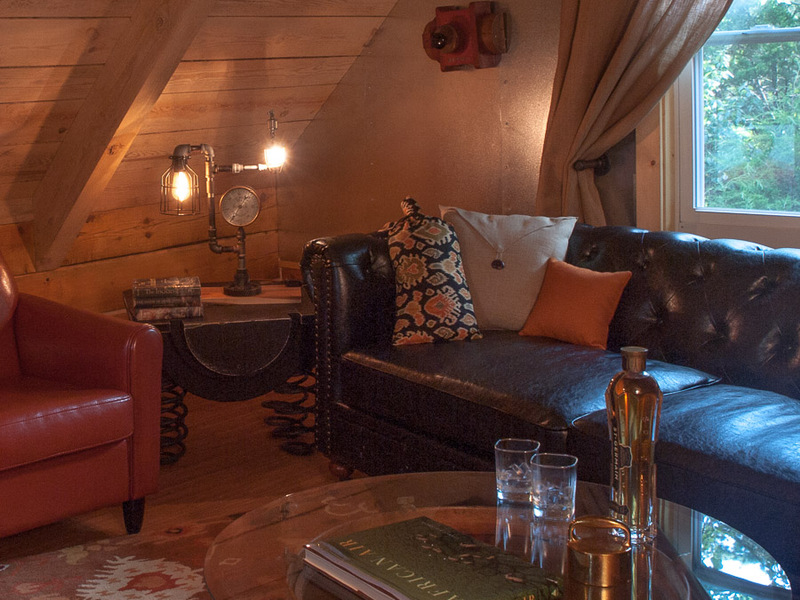 © 2019 Lake Lucerne Cottages, Inc.